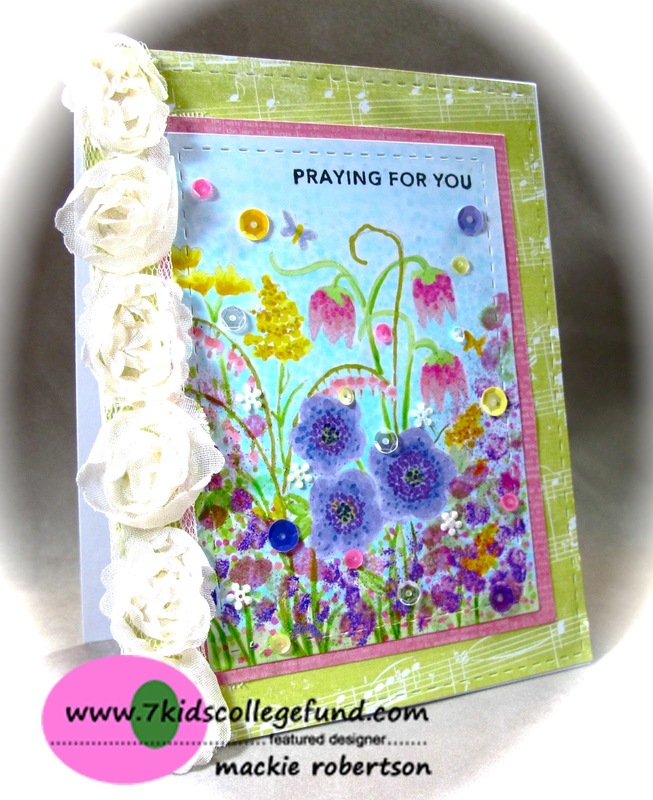 Your card is beautiful - love all the flowers! Wow! 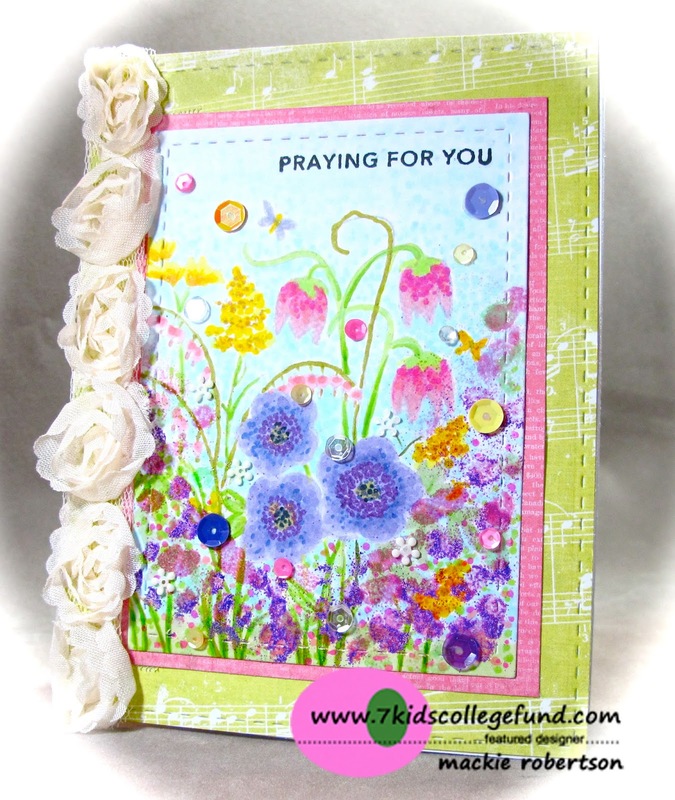 Lovely card with all the pretty flowers!!! What a pretty garden of flowers Mackie, this is wonderful! So pretty Mackie! Love the beautiful flower garden! Such stunning floral images on your background! Gorgeous! Your flowers are absolutely GORGEOUS, Mackie! LOVE the vibrant colors and the sequins! The trim down the side is FAB! Just Beautiful! I love these pretty flowers! Such a pretty card!!! Gorgeous card Mackie. Love the pretty colors and those flowers. The ribbon trim is a nice touch.